A black and white large format negative of Dawn and Gail Vickery sitting in a chair with their arms around each other. 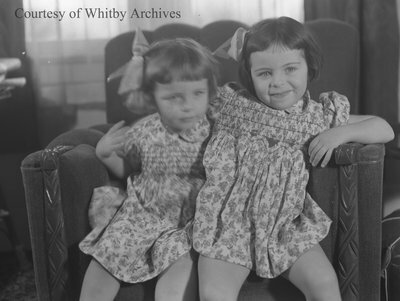 Vickery Sisters, c.1946, Marjorie Ruddy. Whitby Archives A2013_040_461.